NY Times & USA Today bestselling author E.G. Foley launches The Gryphon Chronicles, a new series of historical fantasy adventures (with a hint of steampunk!) that's as much fun for grownups as it is for kids. A magical tale for children and adults alike! If you like Harry Potter, you will love this book! Narrator is excellent! The story quickly draws you into their world! You will definitely enjoy! What a treat. Can not wait to start the next book. I would definitely recommend. 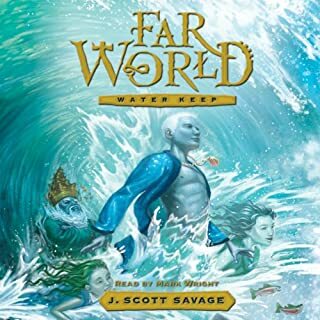 I really liked this audio book. It's perfect to listen to in the car with kids- or just by yourself! (Like I did!) 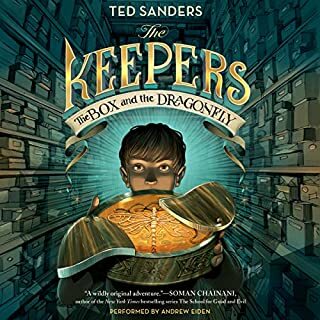 It's probably one of the best 'kid friendly' books I've listened to in quite awhile. While I liked Jake, I loved Dani. She was such a great, driving element in the story line. I noticed some reviews made comparisons to Harry Potter. This book doesn't rely much on the same elements. The only real commonalities were that they both take place in England and our hero is a young man who can perform magic. Don’t compare them. I was provided this audio book at no charge by the author, publisher and/or narrator in exchange for an unbiased review. 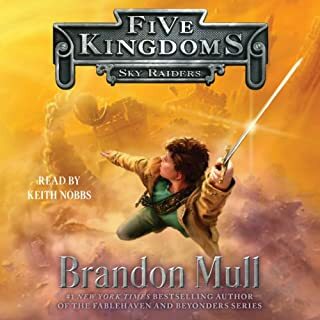 I enjoyed the book, it was a good listen which I was happy to keep turning on during the car trip. Younger listeners were riveted and couldn't wait. 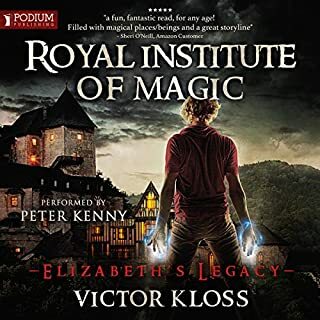 Well read listeners will be quick to note the many borrowed themes in the book, orphan gets magical powers at 13, main characters making stupid decisions, history lessons, and an over protective body guard. Despite this I don't think anyone will be disappointed with this book. The better "Harry Potter" book 1! It is unfair to compare ALL books about magic boys to Harry Potter. Still: We kind of have too. Still this is better then the first Harry Potter! 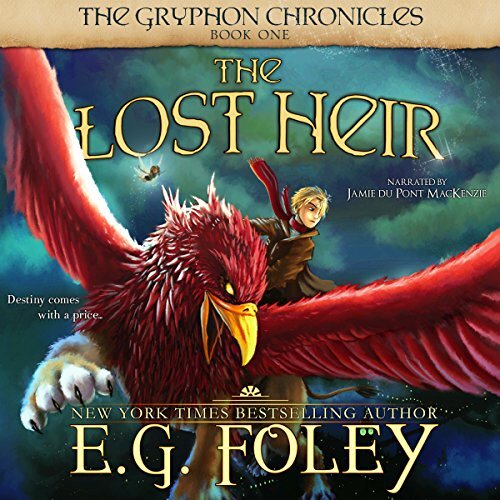 When that is said: The Lost Heir: The Gryphon Chronicles, Book 1 is not only better the Harry Potter, it is better than a lot of other books! E.G. Foley made here a magical world i would love to return, again, and again! The Gryphon Chronicles starts out here with a BANG! This is so fun, and i feel so lost in the world E.G. Foley created! I really can't say how much i loved this! Other then this way: Get this book NOW! And what about Jamie du Pont MacKenzie? Oh i did not mean that rhetorical, so i have to ask again: What about Jamie du Pont MacKenzie is bad? I say nothing! 10 hrs and 20 mins feels like almost 10 minutes! The pace, the volume and the way he reads this i so amazing! So i could not give him under 5 out of 5! I think we found a goldmine in Jamie du Pont MacKenzie and E.G. Foley. What a goldmine! I am so happy i read this! This book is amazing Ioved it like sans stayed in that comic so cool so cool. The first in five books. Each one is interesting and well developed. Both the adult characters and the children are interesting. A nice vacation for the mind. Nothing too violent but whimsical and uplifting. My car was in the shop. My dad drove me to and from work for several days. Picking an audio book to listen to with my dad is tricky. I decided to listen to this book. I'd already purchased this book for my nephew. It looked great, so I bought the audio book for myself. After the first day of listening, my dad said that he liked the book so far. The book captured my dad after listening for only a hour. This is a great book for tweens to grandparents. Jake is a scrappy orphan. He is just realizing that he can not only see ghosts, but he can move things with his mind. He doesn't understand why he has these powers. He is soon made aware that he does have a living relative his uncle and that his uncle wants him dead. He will soon discover other secrets that will change his life forever. This book is a fantastic read. It is fast paced and has great characters. It has mystery, fantasy, action, and so many other elements that keep you wanting to continue the journey and find out what happens next. I am looking forward to listening to the next book in this series. I was captivated by this story. I initially bought this book with low expectations. I enjoyed the narrator on the sample but otherwise I expected the book to so-so. I was surprised to find that the book is fun, imaginative, magical, and witty. The book is right up there with Harry Potter. The story is intended to be YA but it is written intelligently and the author, wisely, did not dumb down the language. The narrator is excellent and a joy to listen to. This is a great book for kids and adults alike. Well worth the credit. 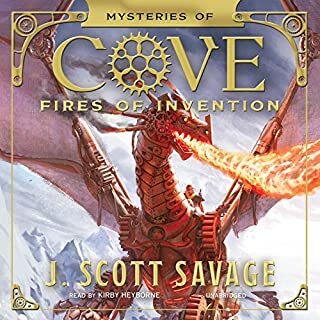 I usually do not enjoy sound effects in my audio books but this book is very nicely done. The music, sound effects and narration are all very well done and the story was also well put together. I like to have something to listen to with my son on road trips and this will do well. 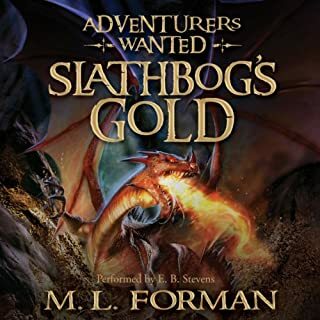 Really enjoyed the story, the narration was interesting, my favourite character is the Gryphon once free.